UDO Internal Drives consist of a conventional UDO drive, but without an external enclosure or power supply. 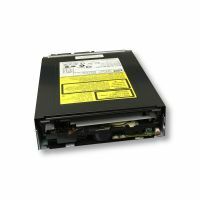 Using an industry standard half-height form factor, the UDO Internal Drive is designed for easy installation into computer servers and specialized peripheral devices such as medical imaging equipment, digital recording devices, and document scanners. The UDO Internal Drive provides an ideal solution for fully integrated applications and hardware solutions that require secure data archiving with the benefits of a robust removable media. UDO Internal Drives are delivered with or without software drivers for Windows and Linux.